Summary: What You Can’t See Can Hurt You. Returning to the hometown of her birth parents, rebellious 23-year-old Josee Walker seeks answers to long-held questions about her childhood. Her biological father, wealthy vintner Marsh Addison, wants nothing to do with her. But a determined Kara Addison sets out to meet the child she gave up years before, despite Marsh’s passionate opposition. 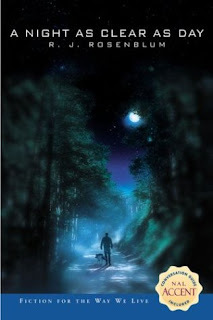 When Kara disappears and her car is discovered at the bottom of a ravine, however, Marsh becomes the prime suspect. Suddenly, Marsh and Josee are forced to unite in their search for Kara–and for the truth. But there’s more to their family’s past than meets the eye. What could the mysterious canister that Josee found in the woods contain? What does it have to do with her mother’s disappearance? When an ancient evil rouses, each member of the Addison family becomes enmeshed in a terrifying supernatural battle–one with global consequences. This books look great ! I would love to win these books! Please enter me! PS: Hope you have an awesome day. I love new books, please enter me! Wow! The covers on the books are amazing. I would love to read them. Ohhh, these look good. :] Enter me please. Oooh, they look awesome! Please count me in. I've never heard of either of these books! Please enter me. I love books that just reading the blurb makes the hair on your arms stand up! Both of these books sound SO GOOD. 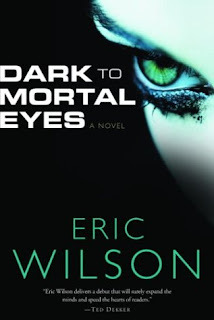 And I love the cover for Dark to Mortal Eyes! Thanks for the contest and please count me in. Enter me - these look interesting. Ooh, they look awesome! Please enter me! These books sounds so interesting! Mystery and suspense, and even a bit of romance. Great contest! I would love to be entered. Hi there! Thanks for stopping by YzhaBella's BookShelf during the blog hop! You have a great place here! Mind if I hang for a while! Lol, I'm a new follower! Oh, I love this book already. Pls enter me in the draw..Thanks for the opportunity to enter. Me me me! Oh I'd love to win! Cool! These sound good. Thanks for the chance! can you enter me into the contest too please? Thanks!! Please enter me into the contest! These seem like some nice books that I would enjoy if I were to win. I just found your blog and I really like it so far! Oh, please let me win one of these!!! They both sound terrific! These look interesting! Please enter me!